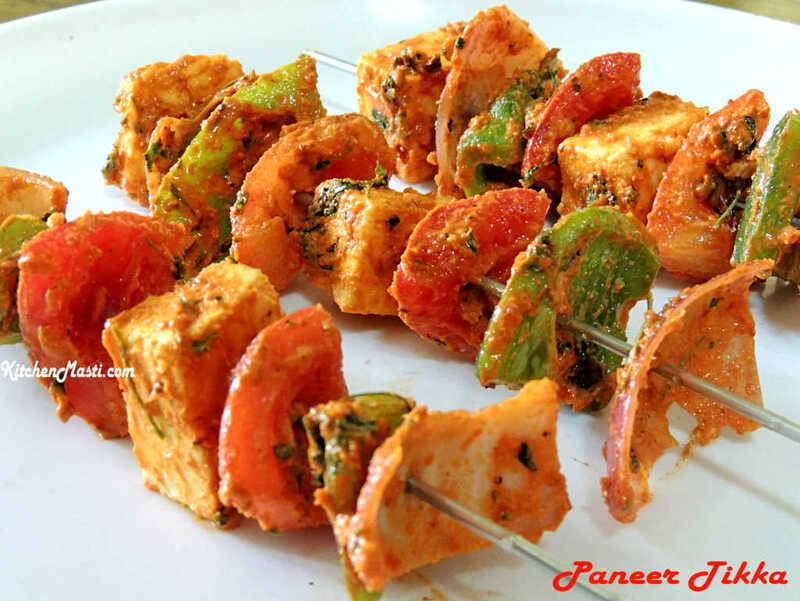 Paneer tikka is an excellent starter and is very rich in taste. Different varieties of paneer tikka can be prepared either by roasting on a pan, grilling it or by using a barbeque. The important point to be remembered is that, the paneer ( cottage cheese ) should be extremely fresh for a unique taste. 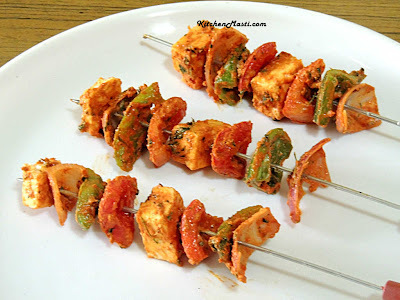 How To Prepare Paneer Tikka. First of all the paneer pieces should be dipped in the marinade. Hung curd - 1/2 cup. Besan ( gram flour / bengal gram flour ) - 1 tsp. Carom seeds ( ajwain ) - 1/2 tsp. Paneer pieces - 250 Gms. Butter or oil for brushing. 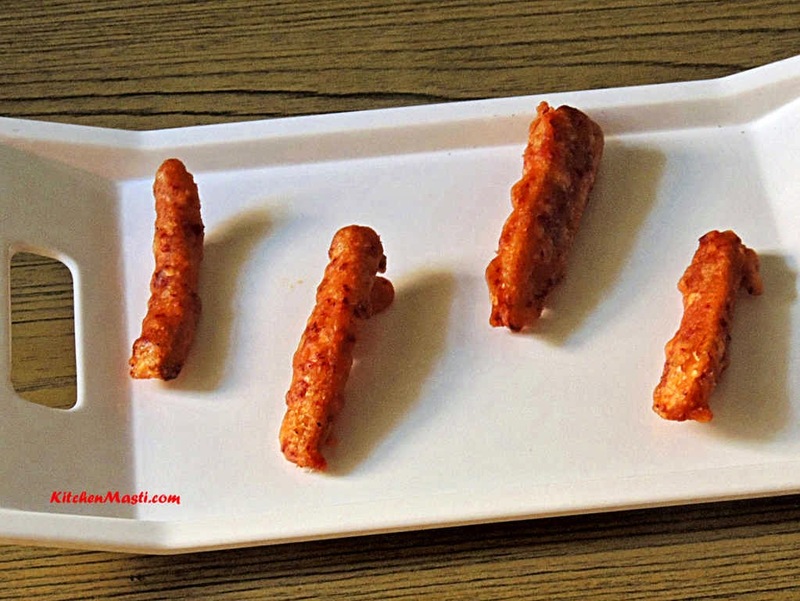 Method To Make Paneer Tikka. Take a big mixing bowl and add hung curds, besan, salt, lemon juice, red chilli powder, turmeric powder, carom seeds, garam masala, ginger - garlic paste, and pepper powder into it. 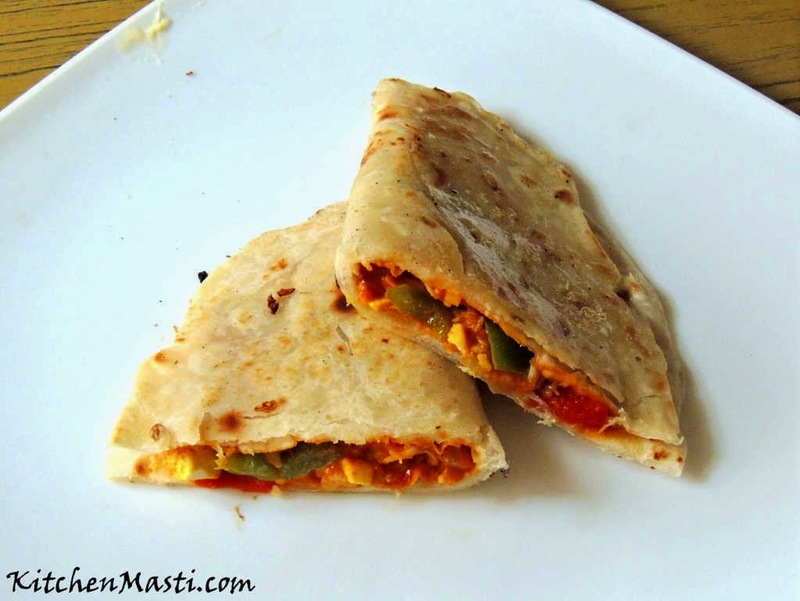 Now toss in paneer pieces, capsicum pieces, tomato, and onion. Chop it in square shaped pieces of around 1 inch. Set this marinade aside for 20 - 30 minutes. Take the skewers and thread a paneer piece, a capsicum, an onion, a tomato and repeat the procedure systematically into all the skewers. Grill or roast it in a heated barbeque. After a few minutes brush oil or butter and re - roast it again till the vegetables are lightly brown. 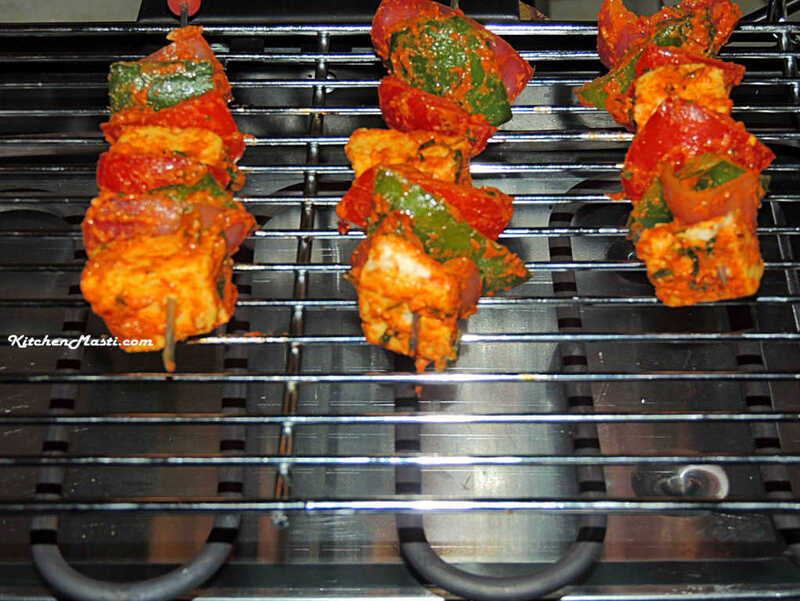 Your spicy Paneer tikka is ready to be served.!!! 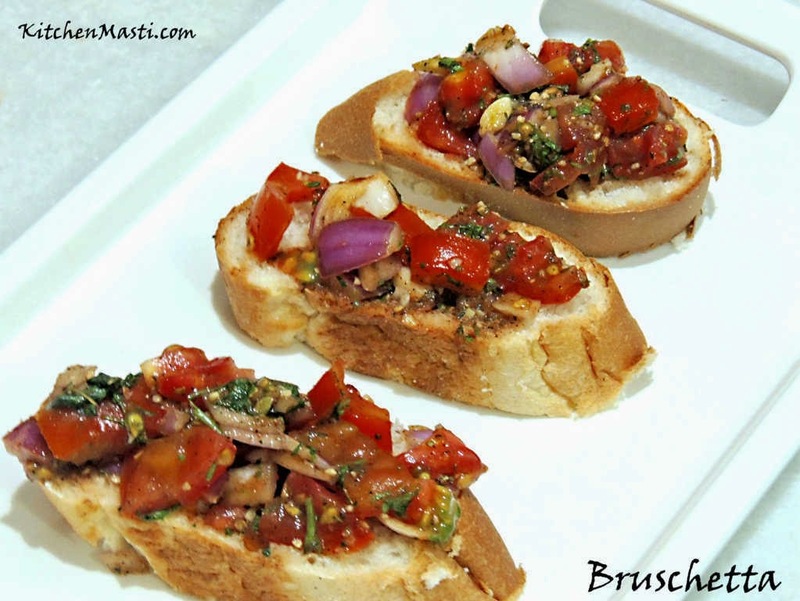 This starter tastes best when it is hot. You can increase the amount of red chilli powder if you wish to have it more spicy.